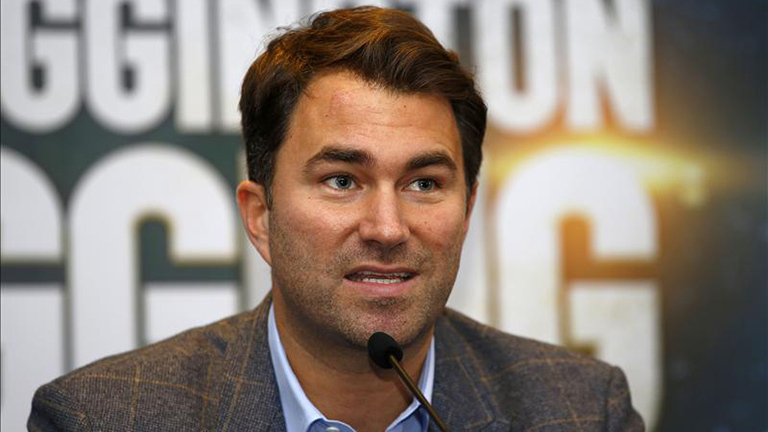 Eddie Hearn has launched a blistering spray directed at Shelly Finkel in the wake of WBC heavyweight champion Deontay Wilder’s interview with talkSPORT. Last Friday the undefeated American revealed contract negotiations for his rematch against Tyson Fury were almost complete and said he would happily travel to the UK to face unified heavyweight champion Anthony Joshua after that. But he also added a caveat, saying that he already had two years’ worth of fights lined up after Fury as back-up in case the Joshua fight cannot be made. Last year the very public negotiations between the Joshua and Wilder camps descended into farce, with allegations flying from both side across social media before breaking down entirely. In an interview with iFL TV British promoter Hearn didn’t hold his ire back, singling out Wilder’s adviser Shelly Finkel for special attention – who he referred to derisively as ‘Shirley Winkle’. “Can you imagine if I said that?” Hearn said. “It shows how much he [Wilder] wants to be undisputed though doesn’t it?